The LRC couldn't be more pleased to announce that Damir Cavar, Associate Professor of Computational Linguistics from Indiana University and Co-Director of The LINGUIST List, has agreed to join the External Advisory Board. 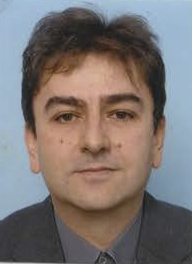 Prof. Cavar has done extensive research in computational linguistics leading to the development of a number of tools greatly facilitating the linguistic analysis of speech and corpora. One of his current projects involves developing computational mechanisms for automatically transcribing and annotating Yiddish as exhibited in the vast collection of interviews with Holocaust survivers as part of the AHEYM Project. Prof. Cavar's expertise will enhance the LRC's efforts to highlight and drive forward computational research in linguistics.